Both GMS Lady Tigers basketball teams were defeated tonight. Both teams had great seasons! 7th & 8th grade Lady Tigers Basketball teams both defeat Milan advancing to the next round of the SEI tournament. Tigers play tomorrow at South Ripley starting @ 5:30. 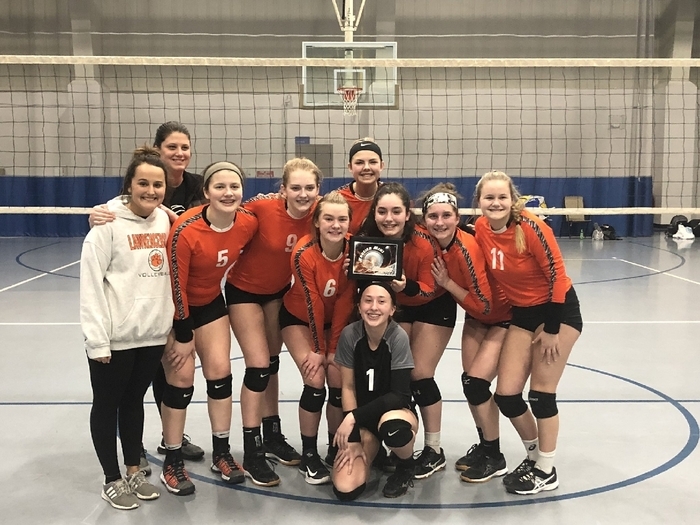 Congratulations Lady Tiger Club Volleyball! 6th grade Champions, 7th grade Runner-Up, 8th Grade Champions. Great Job in Indianapolis Tigers! Greendale Wrestling won last night 72-39 against Greensburg. Individual winners consist of Ethan Kinman, Brayden Tudor, Kinser Pope, Seth Merkel, Alex Witte, Colton Roth, and Logan Lange. Great Job Tigers! 7th & 8th Grade Lady Tigers Basketball Teams both defeat Milan tonight. Great wins by both teams. Go Tigers! The 7th & 8th grade Lady Tigers Basketball game will be played at the MILAN HIGH SCHOOL GYM tonight. Go Tigers! The 7th & 8th Grade Lady Tigers defeated South Ripley last night in basketball action. The Tigers are at Milan tonight. Tip-off is scheduled for 5:30. 7th & 8th grade Lady Tigers defeat the Trojans! 7th wins 44-4 & 8th grade wins 46-16! Go Tigers! The 7th & 8th grade Lady Tigers both defeated Switzerland Coutny last night. The Tigers travel to East Central tonight for a 5:30 tipoff with the Trojans. 8th Grade Lady Tigers were defeated by FC in a close game. 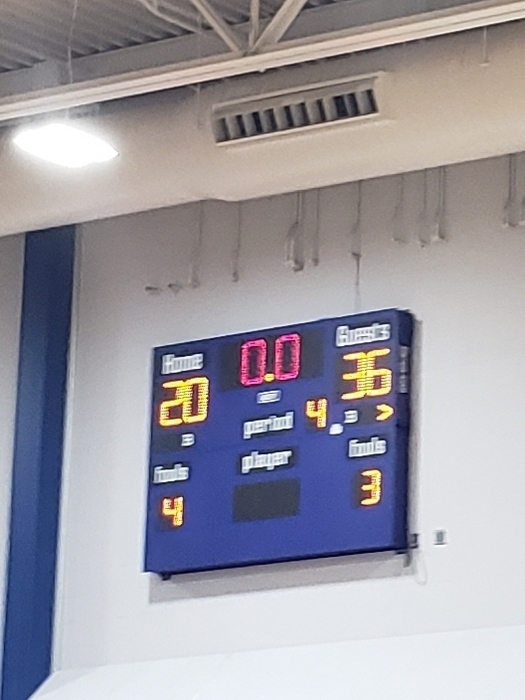 7th Grade Lady Tigers Basketball team defeats Franklin County tonight in Brookville. Lady 7th & 8th grade Tigers defeat South Dearborn tonight. Big wins by both teams. Great Job Tigers! The 7th & 8th Grade Lady Tigers defeated Batesville last night. Great Job Tigers! Tigers are back in action Thursday @ South Dearborn. GMS Lady Tigers took on Greensburg tonight. The 8th grade had a huge win! The 7th grade Tigers were defeated in a hard fought game. Great Job Tigers! 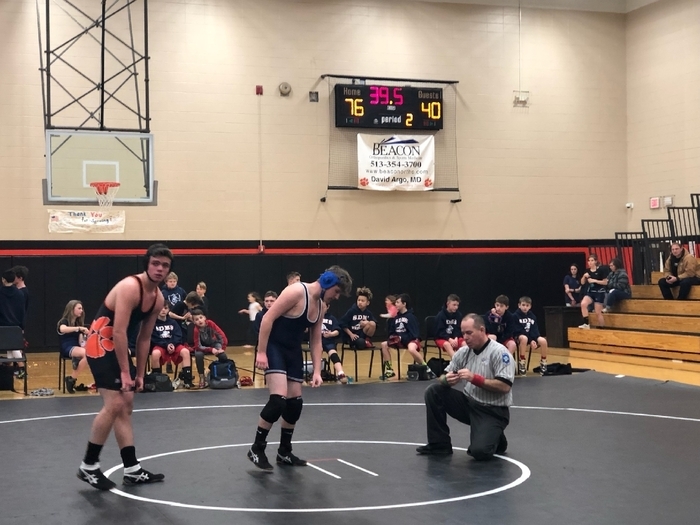 GMS Tiger Wrestling defeats South Dearborn 76-40! Tonight's 7th & 8th grade Lady Tigers Basketball game at Rising Sun has been cancelled. The 5th & 6th grade Lady Tigers Basketball game at Franklin County has been CANCELLED as well. Tonight's GMS 7th & 8th Grade Lady Tigers Basketball game vs East Central has been CANCELLED! 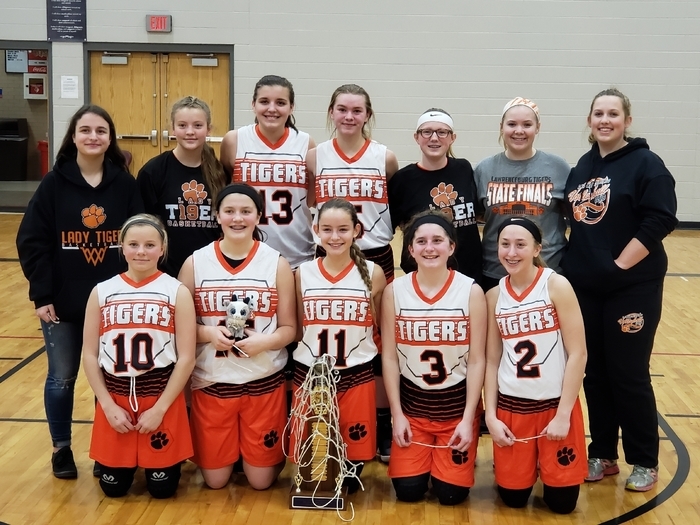 The Lady 8th Grade Tigers are the 2019 Mini River Town Champions! Lady Tigers 8th Grade wins the first game of the Mini River Town 54-13 over Switzerland County. Will play for the Championship @ 11:00 @ SD. 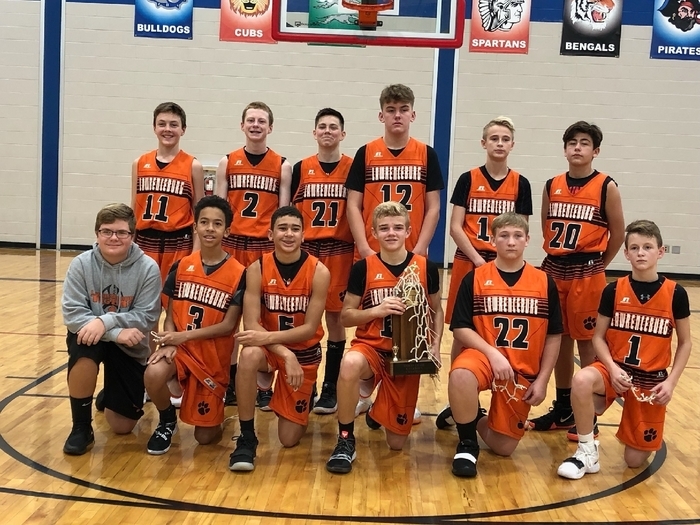 The 7th grade Boys Tiger Basketball Team was defeated last night in the SEI Championship game by Batesville. Tigers finish the season 14-4. Great Job Tigers! SEI Tournament Basketball action started tonight @ Milan. The Tigers were victorious over the Indians in both games. The Tigers will be @ home Wednesday vs EC or SD. Great Win Tigers! 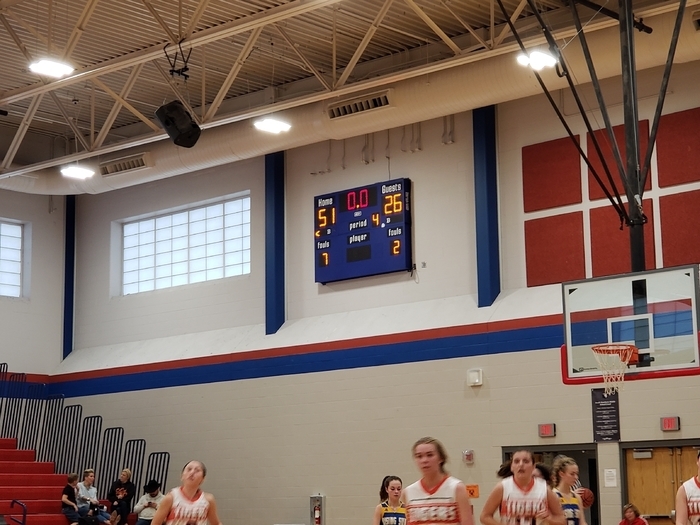 The 6th Grade Lady Tigers Basketball Team defeated Switzerland County last night 35-29. Great Job Lady Tigers! The 7th & 8th Grade Boys Basketball teams were defeated tonight by Greensburg. SEI Tournament starts Monday @ Milan. Lady Tiger Basketball @ JCD on Wednesday night. The 7th grade Lady Tigers were defeated 27-23. The 8th grade Lady Tigers defeated JCD 36-7. The 8th grade Lady Tigers are back in action next Saturday. Girls Basketball tipped off this week. Tuesday night the Lady Tigers both defeated St. Mary's. 7th in double OT - 31-28. 8th grade 43-22. Great Job Tigers! 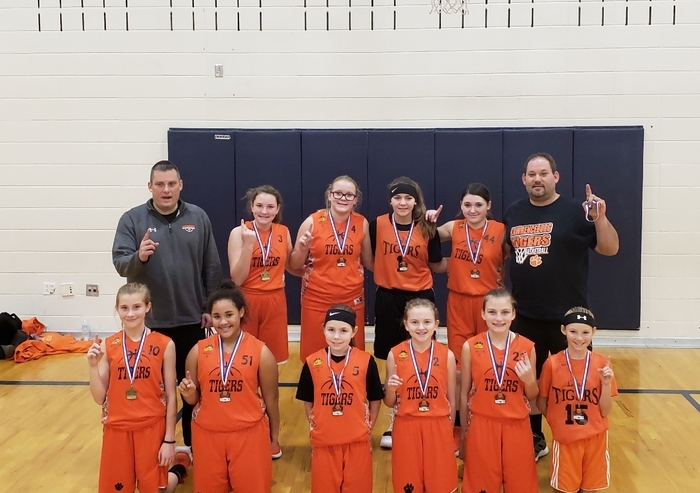 6th grade Lady Tigers win the SD winter league. Congrats Tigers. 8th grade Tigers defeat EC! Great game Tigers! Tigers win 33-28. 7th Grade Tigers defeated by East Central 33-27. Great night for the the Greendale Tiger Basketball Teams. The Tigers defeat the Trojans in both games. 7th Grade wins 40-16 & the 8th Grade wins 46-17. Great job Tigers! 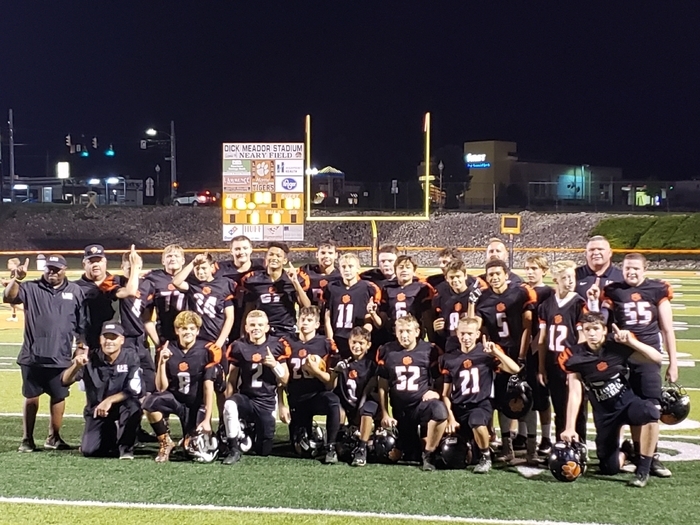 8th Grade Tigers are River Town Champs. Tigers defeated Switz County in game 1. Game two the Tigers were down as many as 17, but storm back in the second half to defeat the Knights. Awesome day to be a Tiger! 7th grade Tiger Basketball plays hard on the road, but was defeated by the Bulldogs. 8th Grade Tigers fight back and hit a last second shot in OT to win. Go Tigers! Great Job Tiger Basketball! 7th grade Tigers defeat Switzerland County 42-15. The 8th Grade Tigers won 42-38. Tigers are in action tonight at Batesville at 5:30. Good Luck! 8th Grade Tigers defeat SD 36-20. Great Win Tigers! 7th Grade Tigers defeat the Knights 37-13! Great Win Tigers! 8th Grade Tiger Basketball wins in OT over Rising Sun 41-40. 7th grade wins 43-20! Great road wins Tigers! 7th Grade Tigers defeat St. Lawrence 53-9! 8th Grade Tigers win 40-24. Great Win Tigers! Tigers are at Rising Sun Tuesday at 6:00. Great job by the 7th & 8th Grade Boys Tiger Basketball Teams Thursday night. Both teams defeated Milan. Tigers are back in action Monday at GMS vs St. Lawrence at 5:30. Great job by the 7th & 8th grade Boys Basketball teams tonight. Both teams defeat Jac-Cen-Del. 7th 40-21 & 8th 46-18. Great job Tigers! Great Season GMS Lady Tiger Volleyball! Tigers go down in 3 sets in the Championship match vs East Central. GMS Tiger Football defeats EC 16-0! Tigers finish the season undefeated! Great season Tigers! 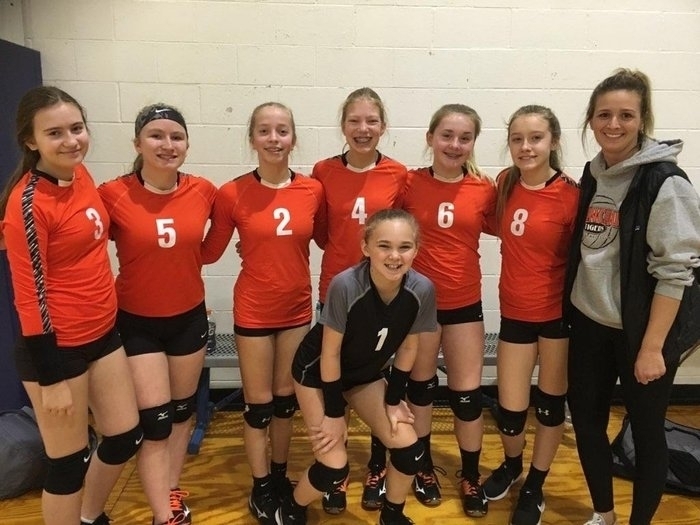 Great Season 7th Grade Volleyball Tigers. Tigers finish the season 8-4! Bright future for these ladies! 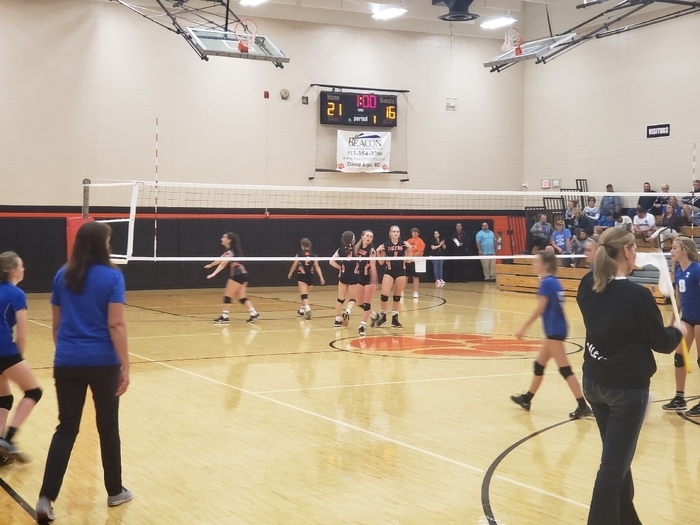 Batesville defeats the 7th Grade Tigers in 2 sets. Great Job 8th Grade Volleyball Team. Tigers defeat Batesville in 2 sets. Good Luck to the Tiger Cross Country Team. Junior EIAC Championship Meet @ Greensburg @ 5:30. SEI Volleyball Tournament action starts tonight at GMS at 5:30. Admission is $4.00. No LCSC All-Sports Passes will be accepted. Good Luck Lady Tigers! GMS Tiger 7th grade Football defeats FC 30-6! Great Job! Both GMS Lady Tiger Volleyball Teams were victorious in 2 sets. Great Job Tigers! Lady Tiger 8th Volleyball victorious in 2 sets! Boys and girls swim teams both victorious over South Dearborn! Lady Tigers CC finishes 2nd. Kelsey Offutt places 3rd overall ! Great job ladies! 7th grade volleyball wins in 2 sets! Great Job GMS Cross Country Runners! 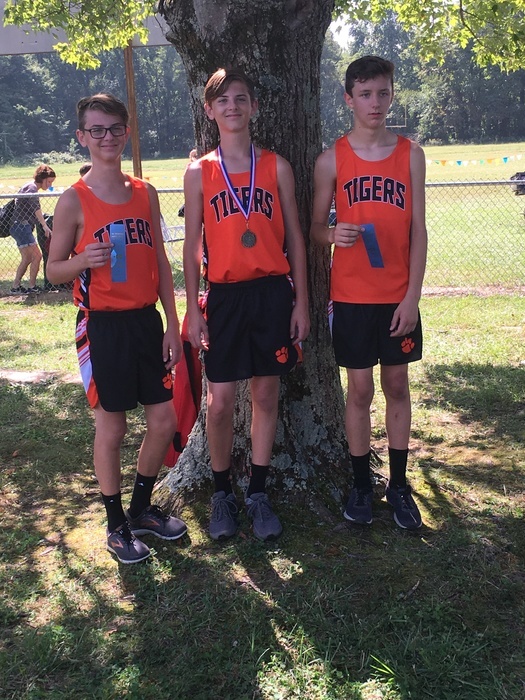 GMS Cross Country had 3 Boys place in the Top 20 out of 83 at the SD Invitational this Saturday. Gabe Hensley 19th, Nick Morgan 17th & Grant Hensley placed 4th! Great Job Cross Country Team! Girls Swim Team was victorious over Connersville. The boys team was defeated by the Spartans. 7th Grade Lady Tiger Volleyball defeats Sunman Dearborn in 2 sets. Great Job Tigers! 6th grade Boys Basketball tryouts will be Tues. September 25, 2018 from 6-8 @ GMS & Wed. September 26, 2018 from 4-6 @ CES. Good Luck! Community Event tonight 6-7 at LHS Auditorium with Logan Weber. Logan is one of the most sought after humorists speakers in the country. Good Luck GMS Tiger Swim Team. The swimmers travel to Connersville tonight & the meet will start at 6. Go Tigers! 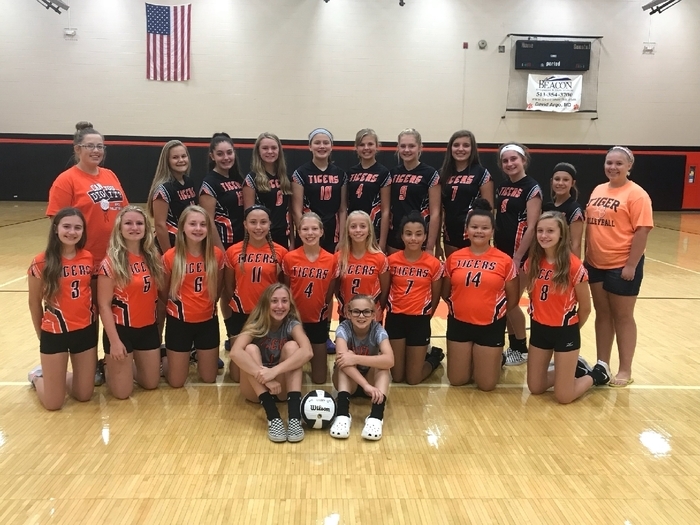 GMS Lady Tiger Volleyball vs Sunman Dearborn tonight at GMS @ 5:30. Neon night Tiger fans. Dress up and come support your Tigers! GMS Tiger Football tonight vs Batesville @ 6:00 in the "PIT". Keep in mind anyone that will be trying out for a winter sport, must have a physical on file. The Tiger Swim Team had a great meet vs Sunman Dearborn. All swimmers got a personal best time. Next meet is Thursday @ Connersville. Tiger Swim Team defeats SD last night. Great job boys & girls. Tigers are now 2-1! Volleyball action at St. Louis tonight. 7th grade Lady Tigers were defeated & the 8th grade Lady Tigers won in 2 sets. 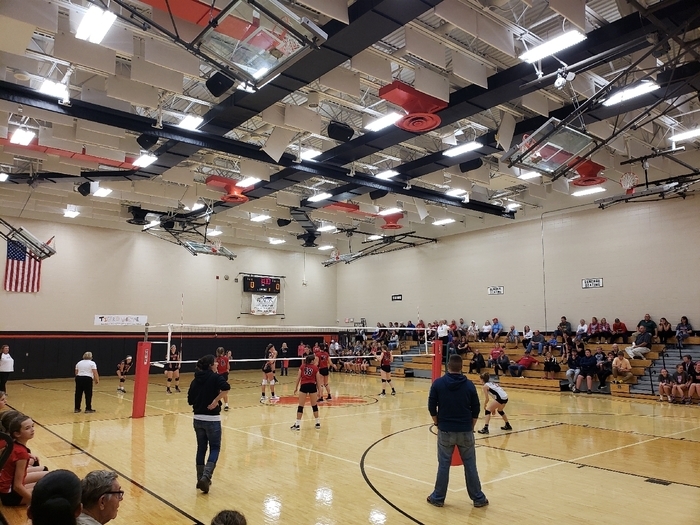 Tiger Volleyball action tonight at GMS vs Greensburg, 7th grade was defeated in 3. 8th grade Tigers win in 3! Great match Tigers! Congrats to both Tiger Volleyball Teams! Tigers defeat Rising Sun on the road tonight. Tiger Volleyball of to a great start. Both Tiger Football Teams Win tonight at Harrison. 7th grade 38-13 & 8th grade 38-0! Both teams still undefeated, great work Tigers! GMS Boys Cross Country beats South Dearborn. Grant Hensley overall winner! The girls fall short tonight. Great effort Tigers! Good Luck to all the Tiger Teams in action tonight! Football @ Harrison, Volleyball @ Rising Sun & Cross Country is at home! Go Tigers! The 8th grade Tiger Football team defeats the Knights in an exciting game 22-18. Great WIN Tigers! 7th Grade Tiger Football Team defeats SD 44-6! Great Job Tigers! Good Luck tonight to the 7th & 8th Grade Tiger Football Teams as they travel to South Dearborn! Go Tigers! 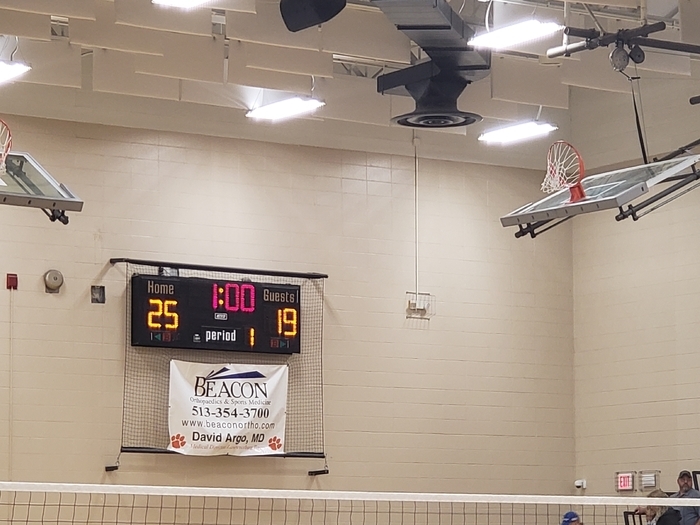 The 8th grade Lady Tigers Volleyball Team was victorious last night in 3! Great Job Tigers! 8th Grade Tiger Football Team wins 46-0 over Milan! Girls & Boys Swim Teams were victorious tonight over Richmond. Great Job Tigers! 7th grade Tiger Football team defeats Milan 22-0! Great Job Tigers! Both Lady Tiger Volleyball Teams were defeated by Harrison tonight. 8th Grade Volleyball defeats the Eagles in 2 sets. Congrats Tigers! 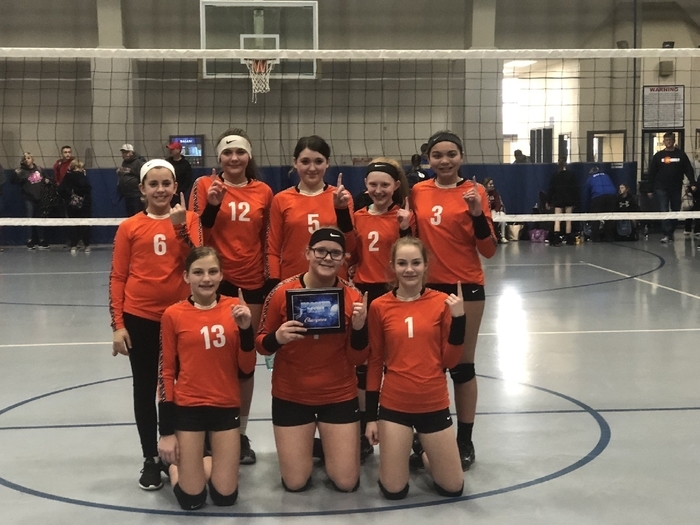 Congrats 7th Grade Volleyball Team! The Tigers defeat Jac-Cen-Del in 2 sets! 8th Grade Volleyball wins in 2 sets. Great Job Tigers! 7th grade Tigers win in 3 sets. Congrats Tigers! Parent meetings for Cross Country, Swim, and Volleyball tonight after practices. Parent meeting for Football on Thursday 8/9 at 5:45pm. All sports physicals must be dated after April 1, 2018.